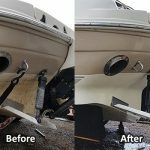 What is the difference between Speed Clean and Inflatable Boat Cleaner? 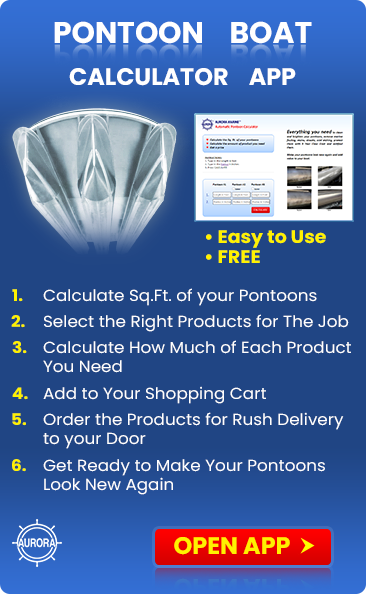 When should I use “Inflatable Boat Cleaner”, and when should I use “Speed Clean” on my Hypalon inflatable? I’m not clear on the difference between the two. Speed Clean is a heavy duty cleaner and restorer. On hypalon, use it when the boat is new to strip off the manufacturing lubricants before applying Poly Guard. 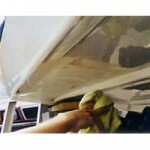 Also use it to remove chalking or oxidation, scuff marks, stains or to restore older boats before applying Poly Guard. Use it with a Marine Power Mitt or sponge or scrub brush to get the tube pristine before rinsing. It has a heavy cream consistency. 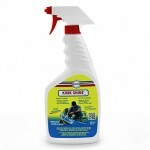 Inflatable Boat Cleaner is a general purpose spray on cleaner for inflatable boats. 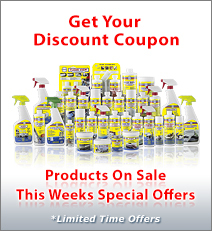 Use this product when your boat just need a good general cleaning or to remove surface dirt and grime. Spray it onto the surface, agitate it with a Marine Power Mitt, sponge or scrub brush and rinse clean. Now you can apply Poly Guard. If oxidation, scuffs or stains remain, then use Speed Clean.